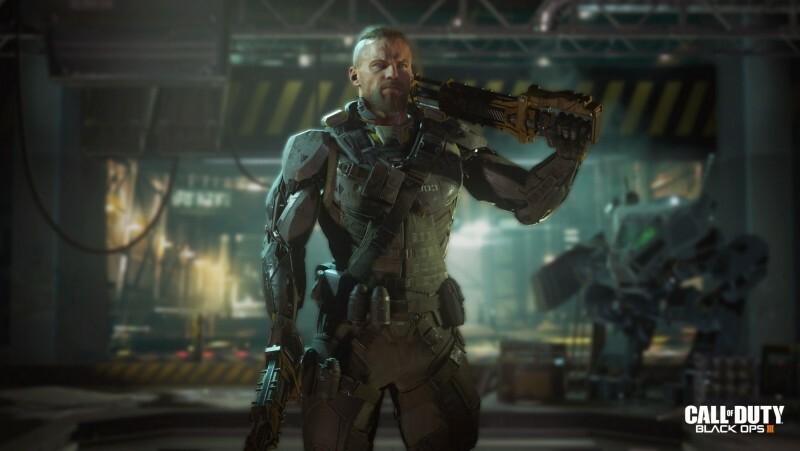 After a series of teases over the past few weeks, Activision and Treyarch have officially unveiled Call of Duty: Black Ops III, alongside a reveal trailer showing shows plenty of sci-fi action featuring robots, drones, and cyborg soldiers. The game will be set 50 years in the future where external “cyber rigs” and bio-augmentation have bred a new type of soldier. Players will assume the role of Black Ops soldiers that are interconnected with an intelligence grid through Direct Neural Interface technology. They are able to boost jump in any direction, wall-run along vertical surfaces, perform power slides and mantle over obstacles, all while maintaining the ability to aim and fire at enemies. This, thanks to a new momentum-based, chained movement system that allows players to move fluidly through environments and maintain control of their weapon -- something that’s already drawing Titanfall comparisons. This year’s Call of Duty release will rely less on its “corridor”-style of level design in favor of open environments offering more space and freedom to explore. The game also introduces a new four-player co-operative campaign mode, allowing you to play through the story with up to four friends online. Other things to look forward to include a new weapon customization system, as well as the Specialist system, which lets users choose between nine elite Black Ops troopers, each with a unique appearance, personality, backstory, weapons, and abilities. Competitive multiplayer will also be a big part of the experience and Treyarch's signature Zombie mode is making a comeback too.